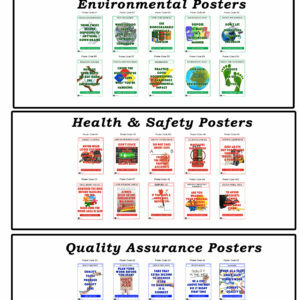 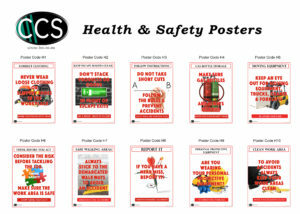 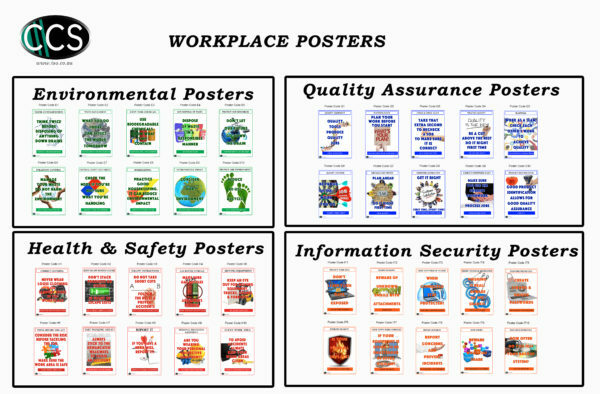 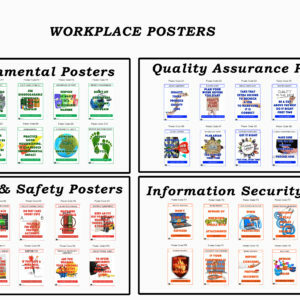 We are proud to offer our new range of ISO related Environmental, Health & Safety, Information Technology and Quality Assurance posters. 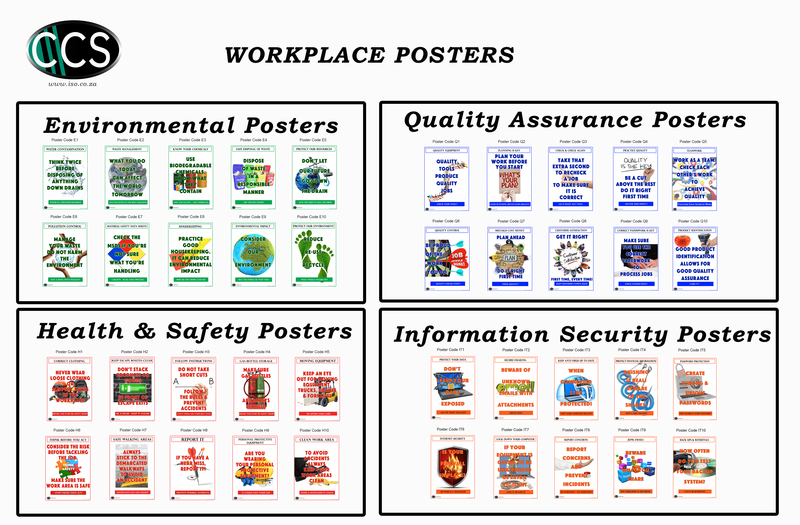 These have been designed to enhance SHEQ in the workplace by offering a visual reminder for staff to consider Environmental, Health & Safety, Information Technology and Quality Assurance requirements at all times. 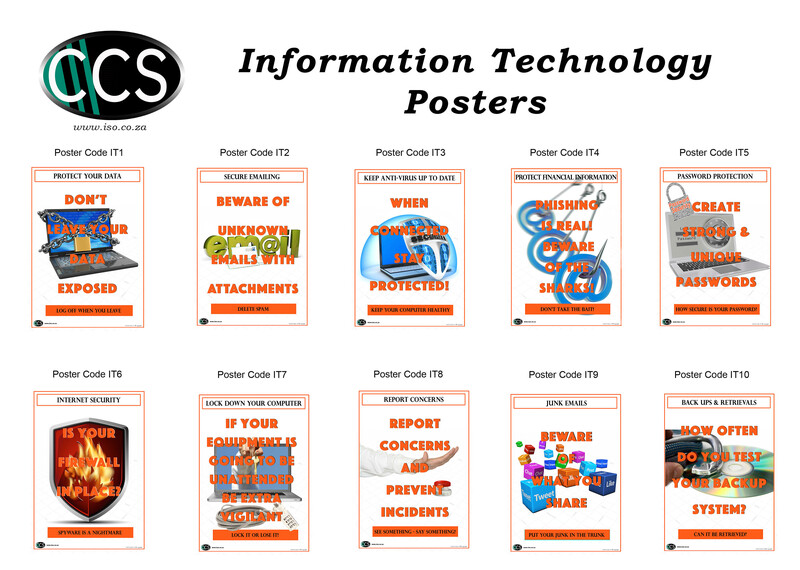 Click on the images below to view the posters and the poster code. 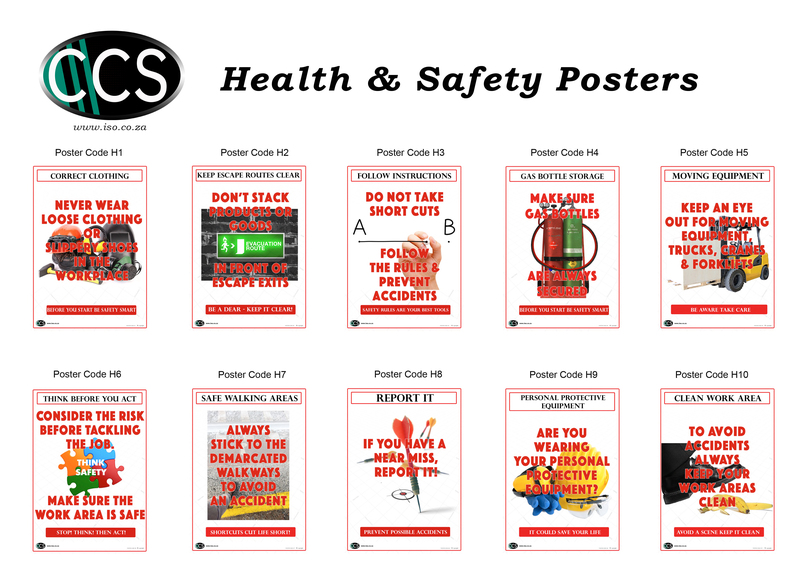 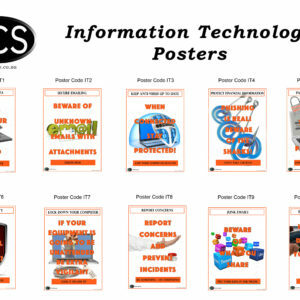 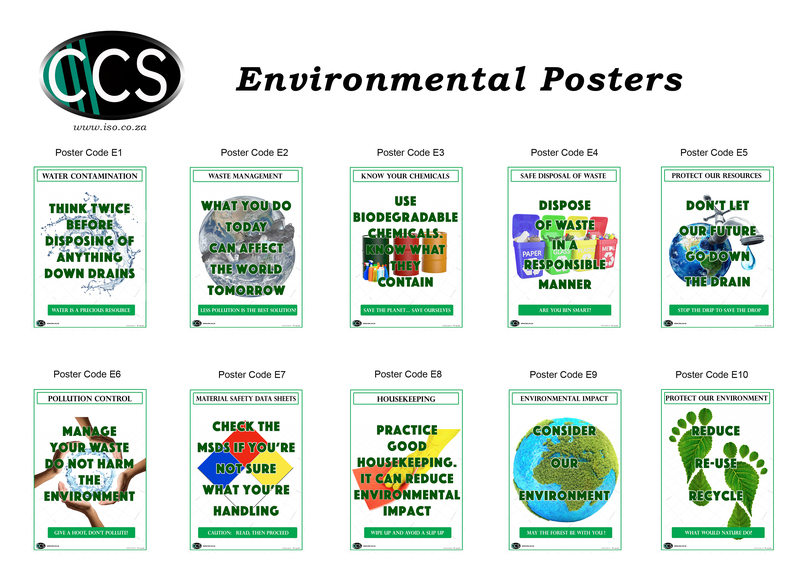 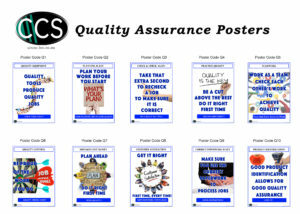 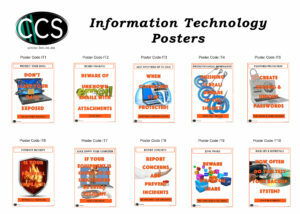 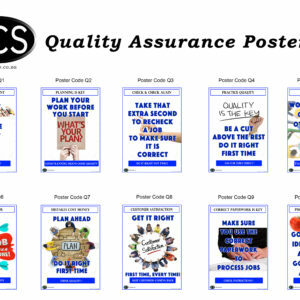 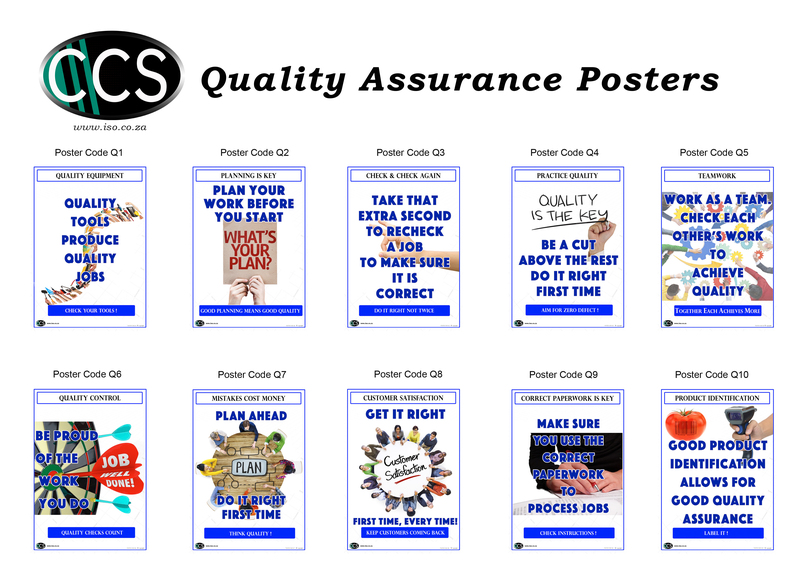 Select 5 posters across any standards and let us know which ones you have selected by inserting the product codes in the “Notes” section during check out.